The Department of Veterans Affairs is planning for a two-year contract to build digital centers where contractors can use agile methods to create platforms for improved services, according to Bloomberg Government. 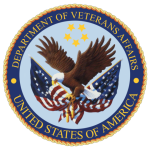 VA adjusted its strategies for the draft RFP based on previous industry feedback after the RFI and an industry day, and hasn’t finalized an acquisition strategy. The department floated the possibility of issuing the final RFP as a set-aside if multiple small businesses respond to the draft, and is still deciding which contract vehicles, including T4NG, to use to procure services.